Murphy’s Law applies itself with surprising vigor in the estate planning field. If your clients are leaving outright, no-strings-attached inheritances or gifts to their beneficiaries, they are practically inviting disaster. But, there’s hope. A properly designed estate plan protects a client’s beneficiary and can help grow your business. If assets managed by you are left outright, they can easily be transferred away after the client dies. You have time to build relationships with the beneficiaries while your client is still alive and well. Your client may be inclined to recommend that the trust be managed by you when you are proactive in the planning process and demonstrate that you have expertise in overseeing the investments for lifetime trusts. Understanding the benefits of a lifetime discretionary trust helps build your client’s confidence and trust in your relationship. Ultimately, this positions you as the trusted advisor for the client’s heirs. What Can Go Wrong with Outright Distributions or Gifts? Judgment creditors can seize or garnish a beneficiary’s inheritance to satisfy their claim (even if it’s a “frivolous” lawsuit). Bankruptcy courts can seize a bankrupt beneficiary’s inheritance to pay creditors and costs. Guardianship or conservatorship courts can impose “living probate” if a beneficiary is now or later becomes incapacitated. If the beneficiary doesn’t effectively plan (remember, if it can go wrong, it will), then the family will probably need to probate the estate. A divorce court might award some or all of a beneficiary’s inheritance to a soon-to-be ex-spouse. Many clients are unaware of these and other risks of outright distributions or gifts. But, when you understand the risks and then help to identify and proactively solve these problems for a client, your client will appreciate your insight and solution for their planning challenges. You build a long-term relationship as the trusted advisor. What is a Lifetime Discretionary Trust? A lifetime discretionary trust is the solution to the problems created by outright distributions or gifts. It is a mechanism that allows clients to pass assets to beneficiaries in continued trust rather than outright or staggered (such as one-third at 30, one-third at 35, and the remainder at 40). This has advantages for you, by providing a solution for a problem facing your clients, and for your clients, by protecting their beneficiaries from everything that can go wrong. Two points about lifetime discretionary trusts. First, these trusts are really just a feature in a client’s estate plan. After a client’s death, the trust holds assets for the next generation, while providing direction and control during the entire lifetime of at least one successor generation. In this way, they are similar to dynasty trusts. Second, these trusts are discretionary in that successor trustees are not required to distribute income and/or assets in rigid ways. Instead, it gives successor trustees the power, within limits, to adjust the timing, direction, and percentage distributions of income and assets in light of contingencies that could not have been known at the time the trust was initially funded (often at the death of the client). For example, maybe one of the children or grandchildren is a spendthrift, has a substance abuse problem, or has special needs. The discretionary element allows for flexibility toward that person. An inheritance that goes directly into the beneficiary’s pocket is readily available to pay the beneficiary’s liabilities from a car accident, in bankruptcy, or after a lawsuit. A properly structured lifetime discretionary trust will protect the inheritance from the beneficiary’s liabilities and provide a place for long term safekeeping. An inheritance that goes directly into the beneficiary’s pocket is readily available for division during a divorce. A properly structured lifetime discretionary trust will keep the inheritance out of the hands of the beneficiary’s soon-to-be ex-spouse. 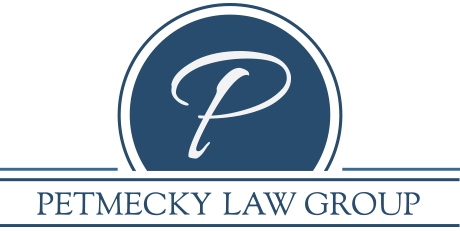 An inheritance that goes directly into the beneficiary’s pocket will become inaccessible if the beneficiary becomes incapacitated and require court intervention to gain access. An inheritance held inside a lifetime discretionary trust will allow the trustee to manage it for the benefit of the incapacitated beneficiary without any court involvement. An inheritance that goes directly into the beneficiary’s pocket can easily be wasted on fast cars, expensive shoes, and extravagant vacations or squandered by the beneficiary’s deadbeat spouse or children. An inheritance held inside a lifetime discretionary trust will be protected and invested for the benefit of the lifetime beneficiary and go wherever the trust maker wants it to go (such as to grandchildren or a favorite charity) after the lifetime beneficiary dies. An inheritance that goes directly into the beneficiary’s pocket will be subject to estate taxes after the beneficiary dies. A properly structured lifetime discretionary trust can shelter the inheritance from estate taxes after the beneficiary dies. A lifetime discretionary trust can allow for valuable, illiquid assets to be sold in a more relaxed way (possibly for a better price), or even to continue developing over many decades. Examples of relatively less liquid assets include certain investment real estate, private equity positions, and some other alternative assets. Their relative illiquidity may mean a forced sale would fetch far less than the assets are worth. A properly structured and managed lifetime discretionary trust can provide better management of these assets. Even for more common assets, a lifetime discretionary trust can allow them time to grow. For example, consider the income that might be generated annually by a portfolio of dividend-growth stocks held for decades. Consider including a thoughtfully drafted Investment Policy Statement (IPS) to help guide (but not handcuff) successor trustees in the investment vision of the grantor. Even though lifetime discretionary trusts offer many benefits, they’re not for everyone. The smaller the value of the trust, the more expensive it will become to maintain over time. Things that should be considered include the beneficiary’s age, the value of the assets that will be used to fund the trust, and the expenses involved in managing the trust during the beneficiary’s entire lifetime. Identifying when a discretionary lifetime trust will benefit a client’s spouse, child, or grandchild is relatively easy. Knowing when the benefits outweigh the long term cost isn’t. Call us if you have questions - we’re always available to help and look forward to working with you and your clients.